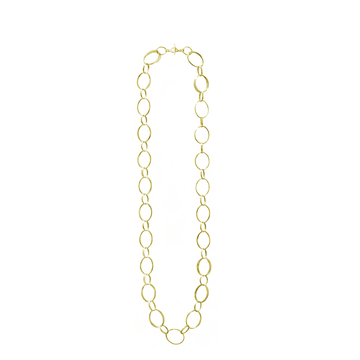 The Ovali collection features multiples of delicate ovals together making beautiful, feminine, contemporary jewellery. This significant solid gold necklace has a stunning braided lapis lazuli insert worn just above the collar.The MitziRocks brand is renowned for using elemental shapes, geometric structure, stunning stones, and a sense of fun! 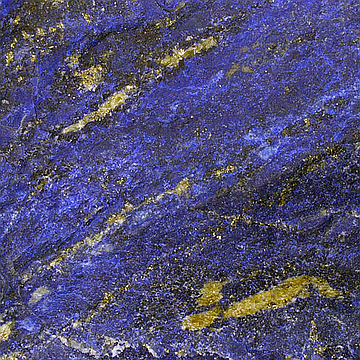 Lapis Lazuli A deep blue metamorphic rock, Lapis Lazuli has been prized since antiquity for its intense color. 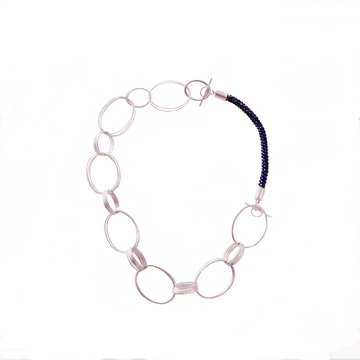 It is an opaque, predominantly blue stone with white calcite and golden pyrite inclusions.